Cape Town - Newcastle United have completed the loan signing of Borussia Dortmund midfielder Mikel Merino. The 21-year-old Spanish under 21 international, who joined BVB from Osasuna in 2016, will spend the 2017/18 season with the Magpies. He joins fellow new signings Jacob Murphy, Javier Manquillo, Christian Atsu, Florian Lejeune, Stefan O’Connor and Josef Yarney at the club. Speaking to the club's official website, the new signing said: "It feels good and I'm very happy to be here, to be part of this club. I'm looking forward to touching the ball, meeting my new team-mates and starting to play football. 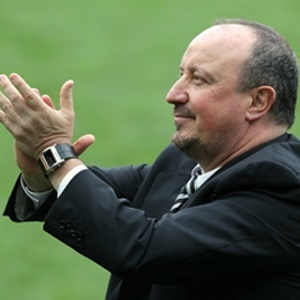 An excited Newcastle manager Rafa Benitez added: "Mikel is a midfielder with talent, an under-21 international for Spain. He's a good size, has quality on the ball and he's very, very focused and professional. "Hopefully he's the kind of player we can improve a lot - he certainly has the mentality to get better and better.